#ENERGY: "Piezoelectric MEMS boosts vibration harvester"
Self-contained energy harvester converts vibrations into electricity using bulk micromachined piezoelectrics. 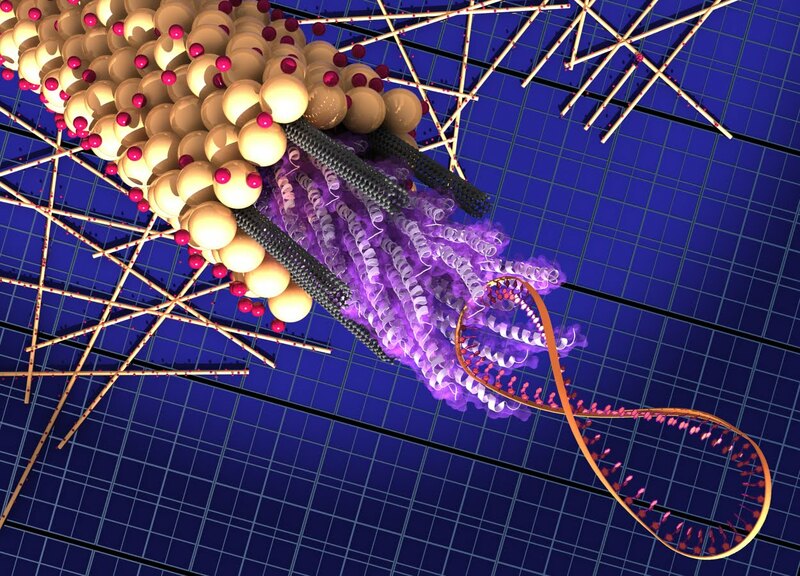 #ENERGY: "Nanotube-based solar cells harness viruses"
The M13 virus consists of a strand of DNA (coil at right) attached to a bundle of proteins called peptides (purple) which attach to the carbon nanotubes (gray) and hold them in place. A coating of titanium dioxide (yellow) attaches to dye molecules (red) which surrounds the bundle. 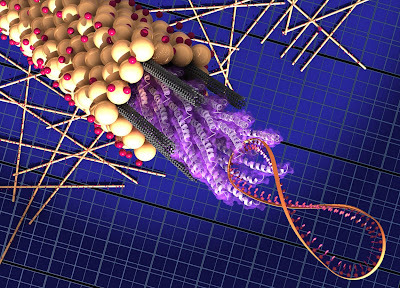 Credit: Matt Klug, Biomolecular Materials Group, MIT. Living viruses can be harnessed to install highly conductive carbon nanotubes into the anode structures of dye sensitized solar cells, boosting their efficiency by almost one third, according to researchers at the Massachusetts Institute of Technology (MIT). Dye sensitized solar cells are a photo-electro-chemical system that positions a semiconductor between a photo-sensitized anode and an electrolyte. Titanium dioxide nanoparticles covered with a dye absorb sunlight, releasing electrons into the anode. These electrons are then collected to power a load, then returned by the cathode to the electrolyte—and the cycle continues. By harnessing a virus to lace the anode with nanotubes, efficiency was boosted from under eight- to over 10.6-percent, according to the MIT researchers. 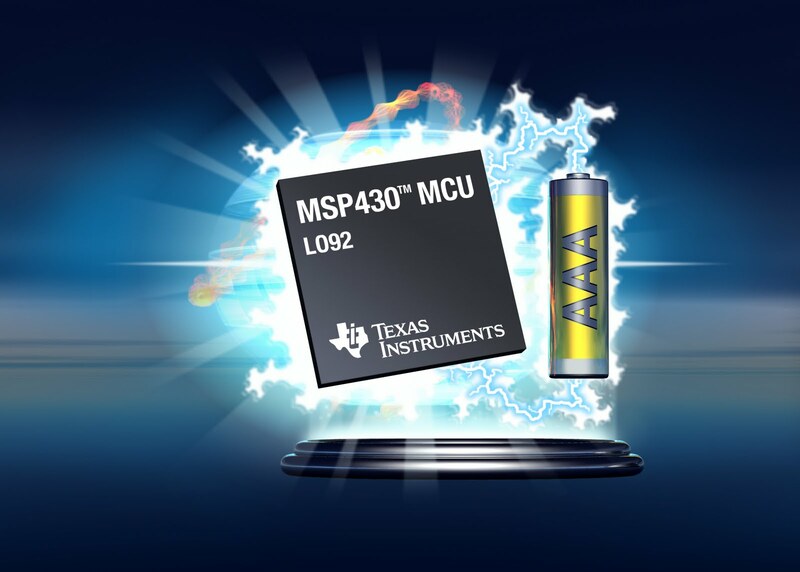 #CHIPS: "TI muscles into touch-panel frenzy"
Texas Instruments MSP430 claimed the low-power crown last year, with new models now tackling touch. Texas Instruments Inc. muscled into the touch panel frenzy last week when the company announced new models of its ultra-low-power value line microcontrollers with built-in support for touchpads at prices as low as 33 cents. 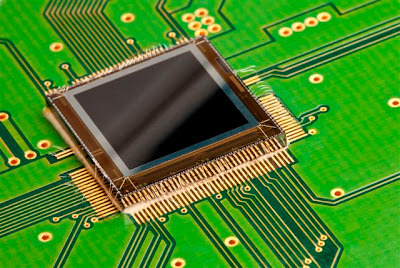 TI has long been a leader in low-power, low-cost microcontrollers, but until now did not have specific models designed for touch-panel applications. #ALGORITHM: "Selective encryption said to cut wireless power"
Selective encryption can protect the most important content in wireless streaming video without running down batteries on mobile devices, according to a university researcher. 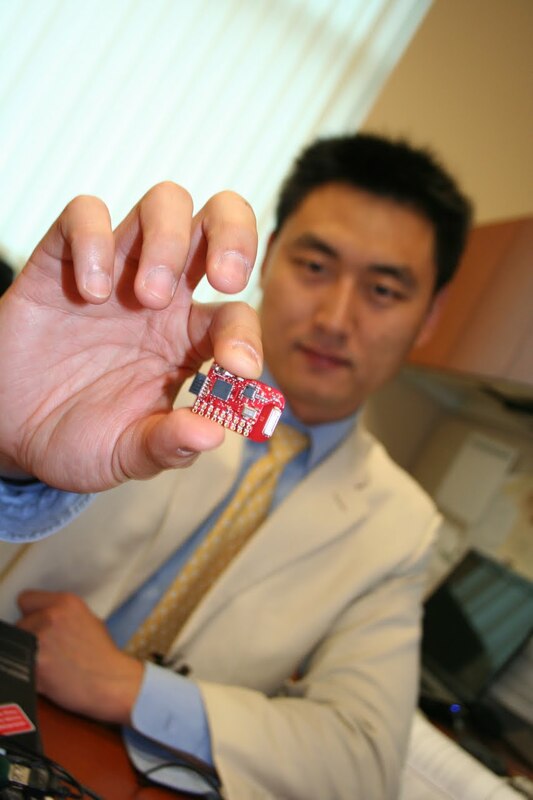 Small wireless circuit boards need selective encryption to protect streaming video without running mobile batteries down, according to South Dakota State University scientist Wei Wang. 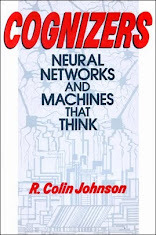 Today users must choose between using unsecured wireless transmissions and running down their battery with encryption algorithms just to prevent eavesdropping on video streams. The selective encryption approach could cut battery usage, said Wei Wang, an engineering professor at South Dakota State University in Brookings who headed the five-university research team that investigated the technique. 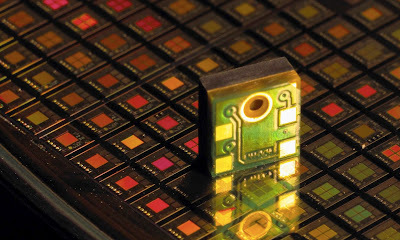 #MEMS: "6-axis sensors improve e-compasses"
STMicro's six-axis e-compass uses two MEMS chips to cut power in half and boost resolution. Better e-compasses will debut soon on smartphones, personal navigators and touchscreen tablets thanks to STMicroelectronics NV new model that extends the battery life of mobile devices. The new MEMS combines a three-axis accelerometer with a three-axis magnetometer, cutting the power by 50 percent and boosting magnetic sensitivity by 30 percent in the process. 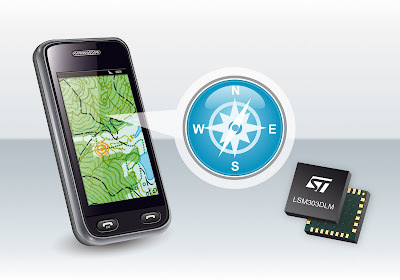 Look for longer battery life soon in mobile devices with e-compasses. 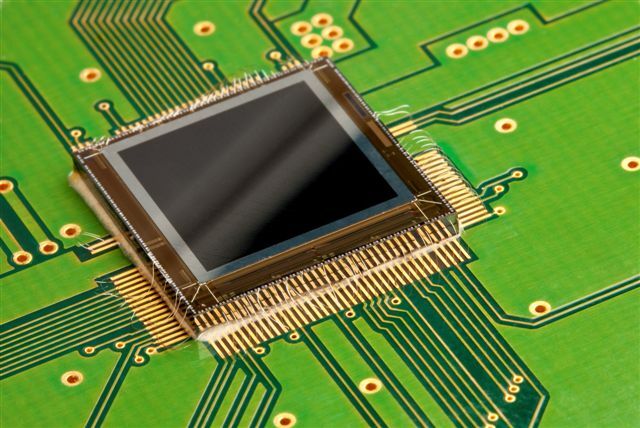 #CHIPS: "Smarter Silicon Retina Aims to SeeBetter"
Imec will manufacture the novel image chip on its 8-inch complementary metal oxide semiconductor (CMOS) line using a hybrid mix of analog and digital circuitry. The European Union is aiming to revolutionize artificial vision for both man and machine with an imager that mimics the real-time spatial and temporal processing of biological retinas. The E.U. SeeBetter project combines the latest understanding of image processing in the biological retina with semiconductors structures that realize the same functions, enabling smarter imaging sensors that filter raw data with feature detection. #MATERIALS: "Quantum dots enable plasmonic semiconductors"
Plasmonic semiconductors could revolutionize electronics by coupling photons and electrons into synchronized wavefronts that travel in waves on a chip's surface. These surface plasmon resonances enable electronic interconnect where the signals travel at the speed of light, on-chip lenses for lasers and a new generation of super-efficient plasmonic light-emitting diodes (LEDs), supersensitive chemical and biological detectors, and metamaterials that can bend light around objects to create an invisibility cloak. #MATERIALS: "Magnetic graphene harnesses Kondo effect"
Pure sheets of carbon—graphene—can be made magnetic by introducing patterns of vacancies into their crystalline lattice, according to researchers at the University of Maryland. By controlling the magnetic properties of graphene semiconductors with vacancy-doping, the researchers hope to enable the pure carbon material to tackle new applications as magnetic sensors and random access memories (MRAMs). 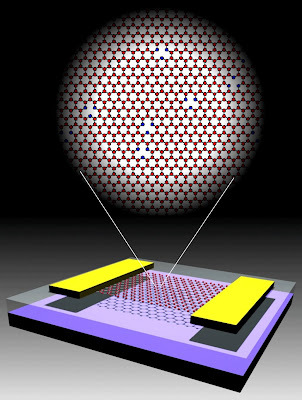 Artist's rendering of a graphene transistor showing gold electrodes (yellow), silicon dioxide (clear), silicon substrate (black) and graphene (red), with inset showing graphene lattice vacancy defects (blue). Source: University of Maryland. Semiconductors are usually made magnetic by doping with a metallic material such as iron or cobalt, but the University of Maryland team, led by professor Michael Fuhrer, claim that just introducing empty spaces into graphene's otherwise perfect hexagonal pattern—called vacancies—can dope the material for magnetism. Others have used surface treatments to make graphene magnetic, but the new method is said to work better by virtue of eliminating the need for any other material except carbon. #MARKETS: "Billionaire Buddhist Reveals Key to Success"
Founder of both blue-chip electronics conglomerate Kyocera and Japan's No. 2 wireless carrier KDDI, as well as part-time Buddhist monk, Kazuo Inamori recently described the key to success which he is currently using to reconstitute troubled Japan Airlines (JAL). Proven formula for success organizes corporations into interlocking profit centers, assigning to management the task of inspiring employees to create innovative consumer-pleasing products. 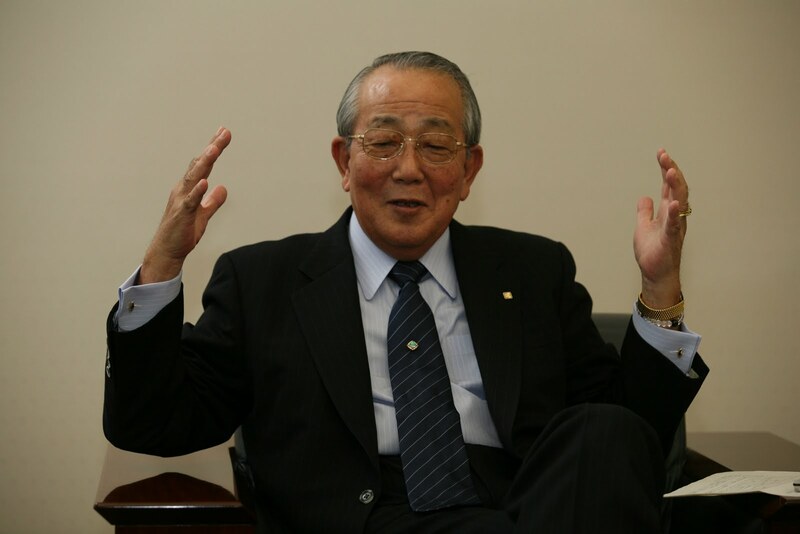 Kazuo Inamori has received dozens of awards over the years, but just this month received the "International Citizens Award" from the Japan America Society (Los Angeles). 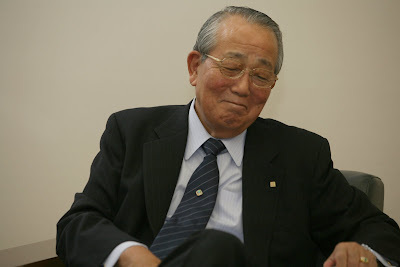 Billionaire Buddhist Kazuo Inamori incorporated his understanding of how to achieve "the good life" into a corporate management philosophy that resulted in two of the most successful companies in Japanese history—Kyocera and KDDI—and which he is now sharing with Japan Airlines, as CEO, and with entrepreneurs worldwide in his Seiwajyuku (business seminars). 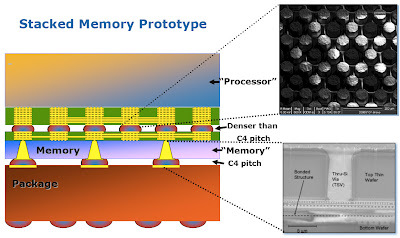 #CHIPS: "ISPD spots 3-D, maskless-lithography trends"
Next generation trends in the physical fabrication of semiconductors, including 3-D and maskless lithography, were recently laid out at this year's 20th annual International Symposium on Physical Design (ISPD 201) in Santa Barbara, Calif., sponsored by the Association for Computing Machinery. Processors can attain the terascale, according to Intel Labs, by stacking processors with on-chip mesh connectivity on top of memory chips inside the same package. 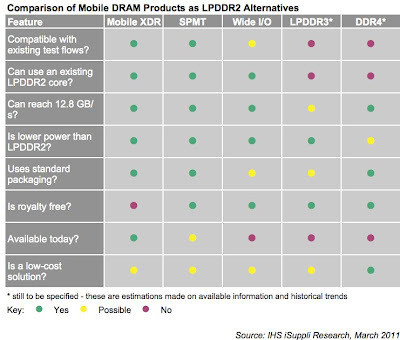 Source: Intel. #MATERIALS: "Smarter Nano-Materials Beat Bad Bugs"
Scanning electron micrograph (SEM) of hard to kill methicillin-resistant staphylococcus aureus (MRSA) bacteria. 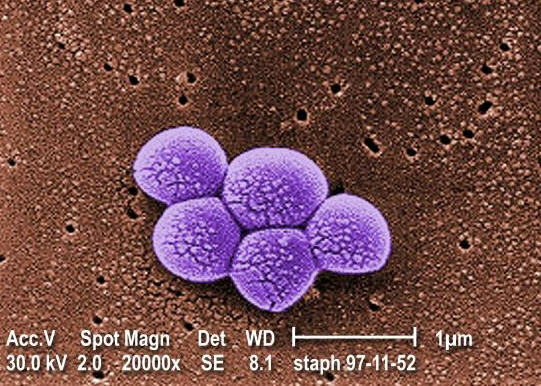 Using the same electrostatic principles used to control semiconductor microchips, researchers are targeting infectious bacteria with magic-bullet-like nano-particles. #MATERIAL: "Biodegradable replacement proposed for indium tin"
Combining carbon nanotubes with a conductive polymer could enable transparent conductors that not only replace increasingly short supplies of indium tin oxide (ITO), but which are biodegradable to boot. The new transparent conducting film could be used in liquid-crystal display televisions, cell-phones, laptops and other displays as well as for solar cells. 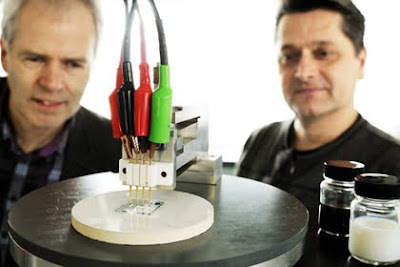 Cor Koning (left) and Paul van der Schoot inspect the black pot containing a dispersion of carbon nanotubes in water, and the white pot which contains the conducting latex. Photo credit: Bart van Overbeeke. Researchers at the Eindhoven University of Technology (Netherlands) have developed a replacement for ITO that can be produced with simple solution-based processing at room temperature using widely available carbon nanotubes mixed with a specially formulated latex polymer. The resulting conductive thin film makes scant use of nanotubes, which account for less than one percent of the material's weight, making it completely transparent and yet highly conductive. 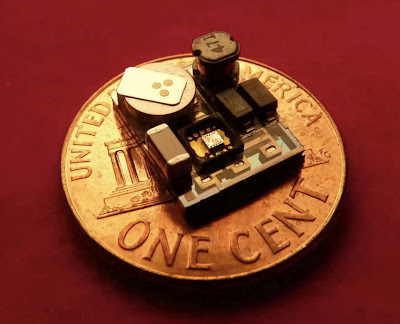 #MEMS: "Micron-Sized Mics Beam-Steer, Cancel Noise"
MEMS microphones just plunged to the micron scale, encouraging mobile device makers to use multiple microphone arrays that can aim at the user's lips and also cancel background noise. Multiple microphone setups were too bulky and expensive before Micro-electro-mechanical system (MEMS) microphone arrays downsized them for surface mounting on printed circuit boards. 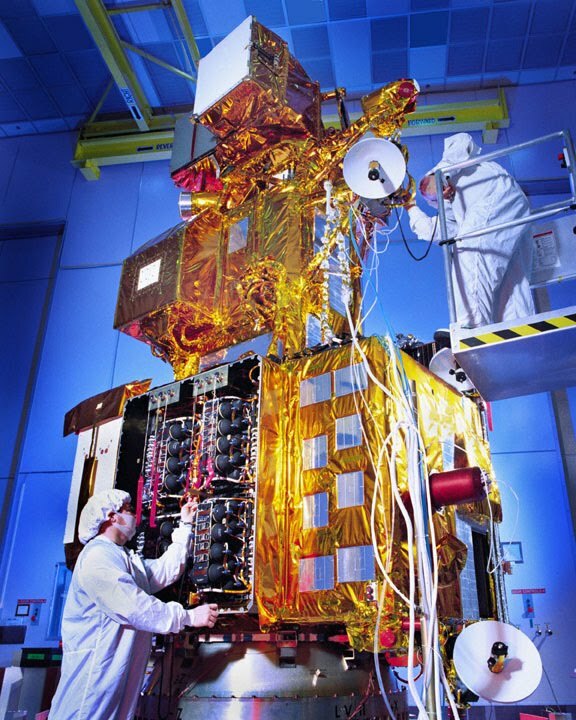 Now camera modules can host multiple MEMS mics, enabling beam-steering algorithms to aim at a user's voice and subtraction algorithms to cancel background noise. #ALGORITHMS: "Kyoto Prize laureates predict future"
More than 2,000 gathered here this week at the Kyoto Prize Symposium to learn more about the accomplishments and future innovations predicted by the Kyoto Prize laureates, who were named last fall. Each laureate delivered a lecture on their work and made predictions about the future at the event, hosted by three local universities—University of California, San Diego (UCSD), San Diego State University and the University of San Diego. 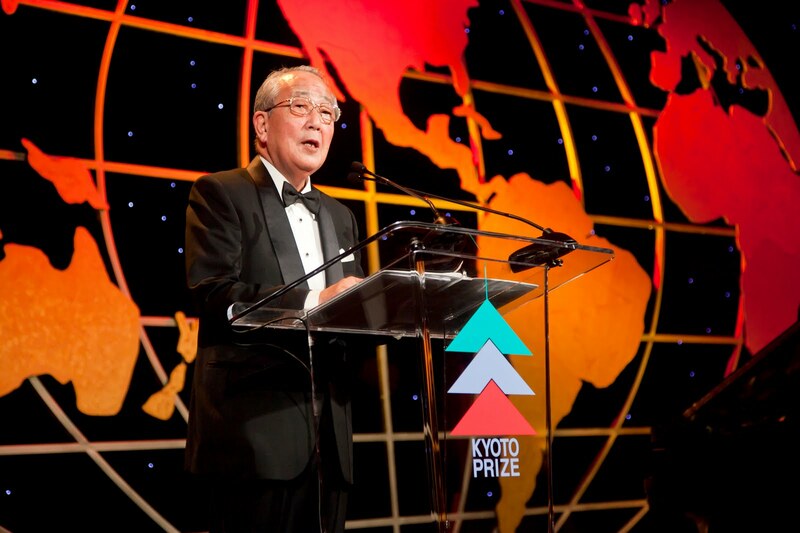 Kazuo Inamori congratulates the laureates at the Kyoto Prize Symposium in San Diego, Calif.
Also at the Symposium, a fourth university was added to three current sponsors—Point Loma Nazarene University (PLNA). All four universities will now receive annual $50,000 grants from the Inamori Foundation to host the Kyoto Prize Symposium in the U.S. PLNA will expand its fellowship program for U.S. journalists with local events which express the charter of the Kyoto Prize to pick recipients that have not only achieved technical excellence, but which follow Kyoto Prize founder Kazuo Inomori's central philosophy that "human beings have no higher calling than to strive for the greater good of humanity and society." 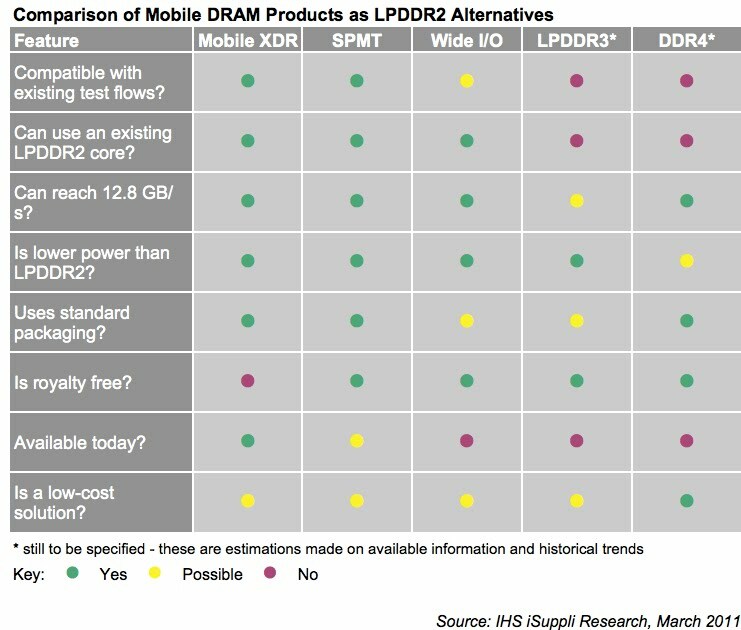 #CHIPS: "Smarter Mobile DRAM Satisfies Need for Speed"
Five different DRAM standards are competing to replace the current low-power (LP) double data rate (DRR) standard. #ALGORITHMS: "Cloud Democratizes Smart Planet Imagery"
#MATERIALS: "Atomic superconductor one-ups squid"
Atomic-scale circuit harnesses ring of ultracold sodium gas (red) circulating around a ring, with a laser-based barrier stopping the flow of atoms around the circuit (left); without the barrier the atoms circulate around the ring (right). Circulating ultra-cold atoms around a ring exhibits superfluidity—the atomic version of superconductivity—potentially enabling sensors capable of tracking rotational motion in gyroscopes of unparalleled accuracy, according to the National Institute of Standards and Technology and Technology (NIST).